This was taken on a walk last week round Portland. 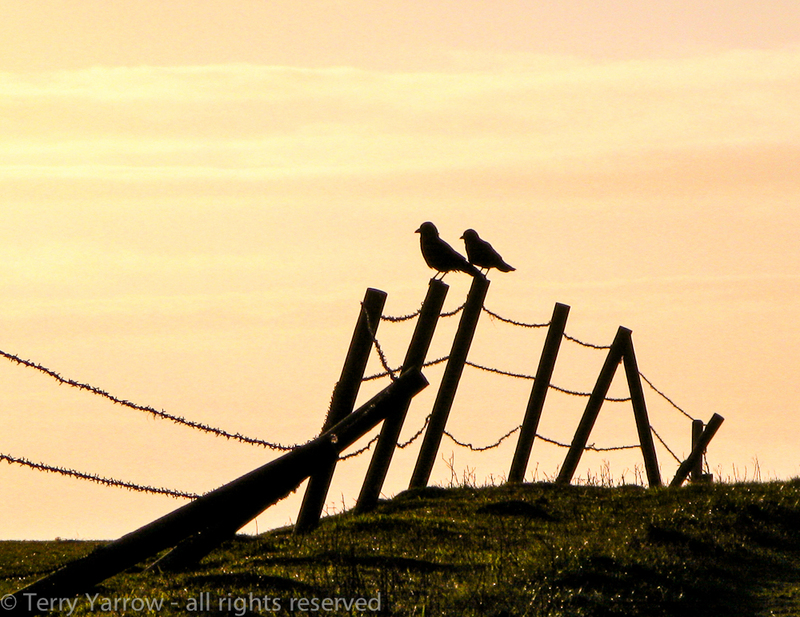 I was heading into the sunset and saw these two birds silhouetted as they sat on a broken down fence. Great way to end a great walk! Always good to carry a camera! Previous Welcome to the Dorset Rambler blog! Next Another great day on the trail!